We service most makes – to main dealership standard. 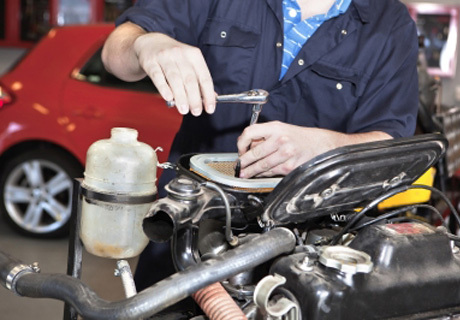 Getting your car serviced by St John's Garage will not effect your warranty, as we follow the manufacturers' specifications and use only specified parts. Every service receives a stamp in the service book and any service indicators are reset. 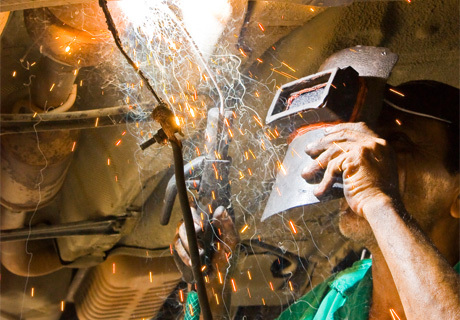 It doesn't matter what make or age your vehicle is, we should be able to repair it. We are specialists and will treat your vehicle like it was our own. Anything from a simple fuse to a full rebuild, any job will be undertaken to a high standard, using our expertise, at an affordable price – compared to main dealerships. 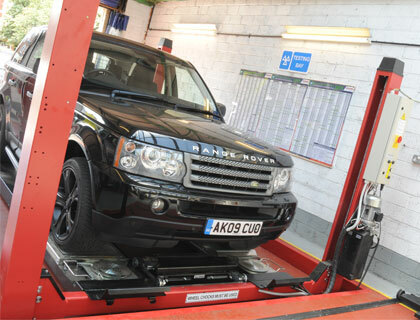 Our brand new on-site MOT bay enables us to give you a fair and efficient MOT test, at the most reasonable price. 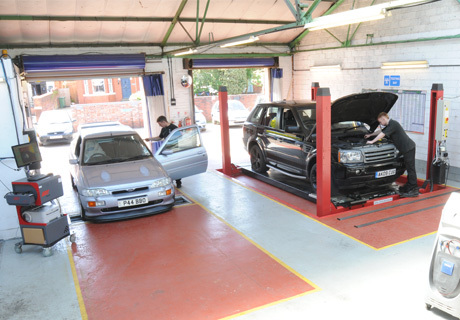 Having an in-house MOT test bay is very convenient as any issues that are found can be easily rectified – and we won't charge you for a re-test. 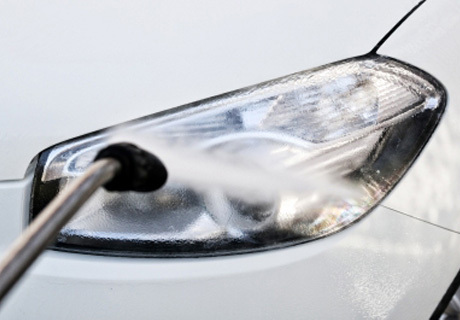 Ron offers a fantastic valet service — your car will look as good as new! He only uses tried and tested Autoglym™ products. 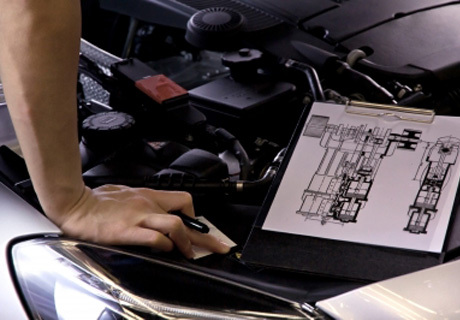 We carry the latest diagnostics software and even have main-dealership equipment, so all jobs are carried out in-house, without the need for you to ever visit the main-dealer again. All aspects of electrical diagnostics are covered. St John's Garage offer free checks to your vehicle, including; heater systems, lights, fluid levels and pressures. Just drop in, there's no need to make an appointment. — please call us to talk through the details, you may be surprised at what we can do. 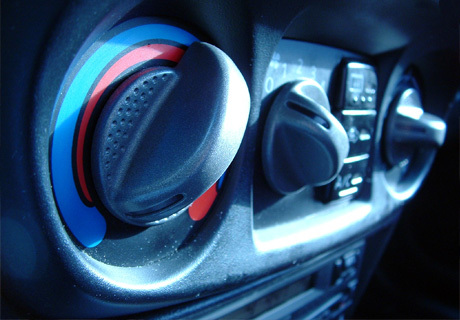 We service/re-gas all air-conditioning systems in any vehicle, to the latest government standard, using our new 'air-con' machine. All our servicing on air-con systems are fully guaranteed. 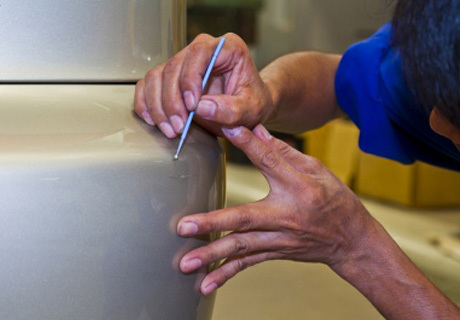 We provide a comprehensive bodywork repair service to any vehicle, from small scuffs to more major impact damage. Free, no obligation quotes can be provided. 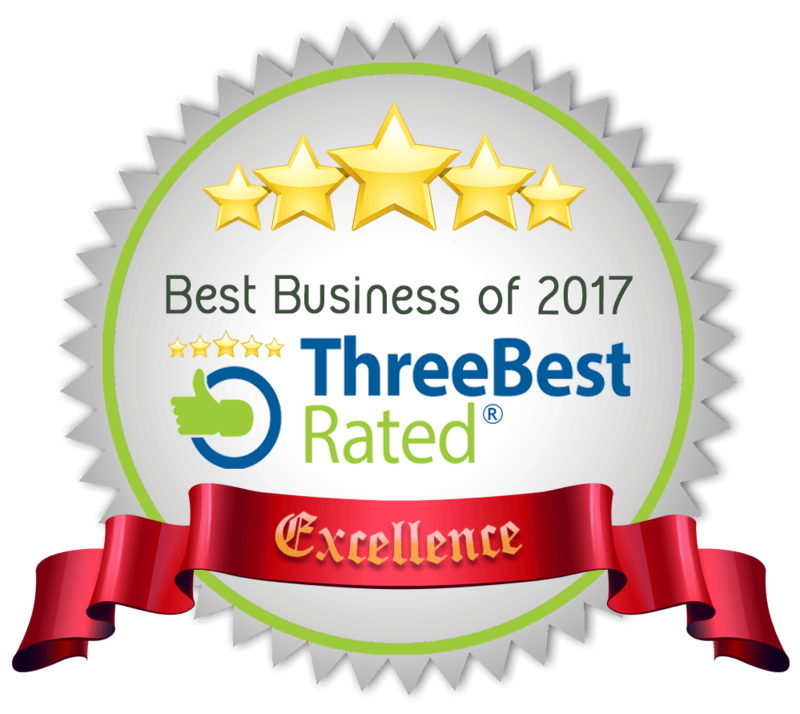 A service with us means that your vehicle has its warranty protected, because we use genuine parts which are of 'Original Equipment' (OE), quality standard.